FSBO Primer: Why Sell FSBO? Is it wise to sell FSBO in a slow market? Selling "For Sale by Owner" (FSBO) isn't much different from listing a home with a traditional real estate agent. 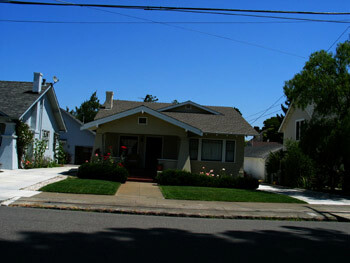 Many homes on the Multiple Listing Service (MLS) and Realtor.com are FSBOs, and real estate agents routinely show FSBO homes to prospective buyers. Indeed, failing to do so would be a breach of their fiduciary duty to their clients and of the Realtor Code of Ethics. The difference is that FSBO sellers take over the job of the listing agent. 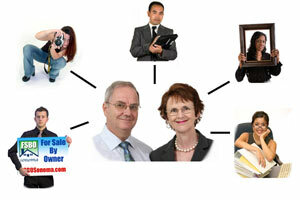 Many of them hire professionals to appraise, stage, photograph, design flyers, and help them with the paperwork. By overseeing the marketing of their own properties, they believe they can get much more bang for their marketing buck. Does selling FSBO work? A 2007 study by two Northwestern University economists found that FSBO sellers in Madison, Wisconsin, got roughly the same price for their homes as agent-assisted sellers, giving them "a significantly enhanced net sale price." Another clue is given in the 2005 survey of US sellers by the National Association of Realtors (summarized in the Massachusetts Association of Realtors Profile of Buyers and Sellers). The study found that FSBO sellers reported the highest level of satisfaction with the selling process, with 80% "very satisfied" and only 3% "very dissatisfied." Of those who sold their homes through a real estate agent/broker, only 65% were "very satisfied" while 5% were "very dissatisfied." FSBO websites sometimes claim that you can pocket the entire real estate commission by selling your home yourself. Unfortunately, that's usually not true. Real estate commissions are normally 5-6% of the sales price of a home. Of this, half normally goes to the listing agent (who represents the seller and markets the property) and half to the selling or buyer's agent (who shows the property to buyers and writes up offers). In this primer, I'll be recommending that you offer a 2.5 - 3% commission to buyers' agents, but use a flat-fee MLS listing service, a FSBO website, a discount broker, and other service providers to replace the services of a listing agent. If you take my advice, you'll likely save lots of money by selling FSBO, but you won't save the full commission. This, of course, is just the cost of replacing the listing agent, who normally splits the commission with the buyer's agent. If you choose to cooperate with buyers' agents, you should also expect to pay 2.5 - 3% of the sales price of the property as a commission. Even if you don't pay a commission to the buyer's agent, you shouldn't count on pocketing all the savings. Buyers will expect a price discount if they've spared you the expense of paying for a buyer's agent. Giving them this discount acts the same way on your bottom line as paying a commission. You'll likely get better representation. Real estate agents often warn FSBO sellers that there are complex tax and legal issues involved in selling a home and that it's best to let a professional handle it. (See, for example, this article.) I agree. That's why I recommend that you have an experienced broker or real estate attorney--not a real estate salesperson--prepare and review all the contracts. As Douglas Gantenbein points out in a Slate article, "A realtor's license can be had after as little as 50 or 60 hours of training (the person who cuts your hair probably has 1,000 hours or more." Selling FSBO gives you more options. Once you've signed a contract with a listing agent, your options become severely limited. It may be difficult for you to switch agents, or rent out your home, or take it off the market. If you find a buyer on your own, your listing agent will likely pocket the buyer's agent's commission. Signing a contract with a listing agent can be risky. 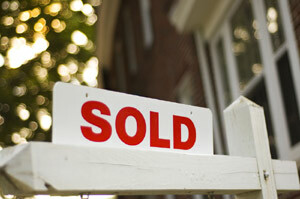 Selling FSBO makes it easy for buyers to make offers without an agent. If you list your house, buyers usually need to go through licensed agents to make an offer (though there are ways for astute buyers to get around that--click here to learn more). If you sell FSBO, buyers can contact you directly to make offers, and pocket the buyer's agent's commission themselves. Many buyers seek out FSBO homes for this reason. You'll pay only for the services you want. Selling FSBO allows you focus your money on services that are tailored to your needs. In a slow market, offering a generous 3% commission to selling or buyers' agents gives them a powerful incentive to show your property to their clients and bring offers. If your house is in a remote area, you might want to pay for professional photographs and a virtual tour so prospective buyers can view it online. If you expect to have a high tax liability, you may want to pay for an accountant or tax lawyer. If your house is dowdy, you may want to splurge on a professional stager or rent nice furniture. You can often get more bang for your buck by hiring different service providers à la carte. Listing agents sometimes sacrifice their clients' best interests in favor of their own. Listing agents have an incentive to sell your home quickly, even if that means getting a lower price. Holding off a sale in order to get, say, an additional $10,000 will benefit the listing agent by as little as $125, since the commission must often be shared with the supervising broker. From the agent's perspective, it's better to push for a quick sale and close the deal. In some areas, many agents leave flyer boxes empty and suppress the addresses of their listings on Realtor.com. This hurts sellers, since it frustrates those buyers who are searching for homes on their own. But it helps agents, since buyers sometimes call them to get the prices or addresses. The gives the listing agents a shot at representing the buyers as well as the sellers in the transactions. Unless they're closely supervised, listing agents may also "sandbag" listings. I know of a beautiful bank-owned property in a remote location that the county tax assessor shows as having 4 bedrooms and 4 baths. The listing agent took horrible pictures and described it as having 3 bedrooms and 2 baths. His motive may have been to discourage other agents from showing the property so that he could save it for his own buyers and collect a double commission. Unscrupulous agents may also use listings as buyer magnets. In an informal study of bank-owned properties, I found that agents would sometimes exaggerate features, say by claiming that a $300,000 home has three bedrooms when it really has only one. Their motive may be to attract phone calls from buyers eager to get a good deal, so that the agents could steer them to other listings. You'll likely get better services if you buy them à la carte. Ever notice that ads for $8 trinkets on eBay often have better photos and descriptions than ads for $800,000 homes on Realtor.com? Once a listing contract is signed, listing agents have little incentive to spend money on marketing. Again, getting $10,000 more for a house may only benefit the listing agent by about $125. When a house near mine sold last year, the sales flyer was printed on lime green paper and had spelling errors, the image file on the Realtor.com website was corrupt, and the agent served stale Halloween candy at the open house. But the market was hot, the home sold quickly, and the listing agent (and his broker) got a $23,000 commission. The sellers of a $800,000 house in California will normally pay $40,000 to $48,000 in sales commissions if they list with a real estate agent. But they shouldn't be surprised if their agent refuses to spring for a professional photographer. Even if good photographs were to boost the market price of a house by, say, $10,000, the agent may only pocket about $125. Even if you plan eventually to list your home with an agent, it's a good idea to try selling it FSBO for the first few weeks. Sellers sometimes find that their houses sell easily soon after they're listed, which leads them to wonder if they could have sold them without the expensive commissions. Listing agents don't charge upfront costs. If you're short of cash, you may not be able to come up with enough money to market your property effectively. Listing agents don't charge any upfront fees and get reimbursed only if the house sells. In essence, realtors are in the business of making risky "loans" to sellers, in that they provide a lot of services upfront but get paid only if the house sells. Buyers may not take you seriously. Since selling FSBO can be as easy as putting a homemade sign on your front lawn, many prospective buyers worry that FSBO sellers aren't committed to selling their property and won't accept a reasonable offer. Sellers who have signed up with real estate agents are perceived to have made a stronger commitment to selling. Buyers' agents in some areas might not show FSBO homes. Though buyers' agents may have an ethical and fiduciary duty to search all homes for sale in an area for their clients, there's evidence that agents in some areas boycott FSBO homes or steer their clients away from them. This is more likely to happen in rural areas that are dominated by just a few real estate brokerages. If you're worried about this, attend the open houses of FSBO sellers in your area and ask the sellers if they think they're being boycotted. Be aware, though, that listing with a traditional brokerage won't necessarily protect you from unethical buyers' agents. If you list, say, with ABC Realty, it's possible that XYZ Realty agents will steer their clients away from your home in favor of their own listings. 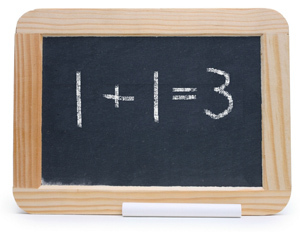 The best way to keep buyers' agents honest is through aggressive marketing. Also note that listing agents often tell FSBO sellers that buyers' agents won't show FSBO homes. This claim is part of a standard sales script and is usually wrong. If your home is in a gated community or a hard-to-find location, you'll be more vulnerable to boycotts by buyers' agents. Agents are more likely to show FSBO homes if they're in conspicuous locations. They worry that if they don't show these homes, their clients might find them on their own and make offers directly to the sellers. If you're involved in a short sale, it's usually best to go with a traditional agent. most of your savings likely will be captured by your lender. If you owe more on your house than it's worth, and if you plan to ask the lender to make up the difference, then you'll be listing your home as a short sale. Short sales tend to difficult transactions, so I recommend that sellers use traditional agents to handle them. Besides, since the lender is absorbing much of the loss, it stands to capture most of the savings you'd enjoy from selling FSBO. Selling FSBO can be an ordeal for families that are already overwhelmed with work. You'll have to do some of the work yourself, like filling the brochure box, giving personal tours, and hosting open houses. Some agents claim you can get 16% more for your home if you list with an agent. This statistic probably comes from a National Association of Realtors study which found that the median 2005 sales price for a home that was sold by an agent was $230,000, compared to only $198,200 for a FSBO home. But while it's true that $230,000 is about 16% higher than $198,200, it doesn't follow that hiring an agent will boost your home's sales price by 16%. One reason FSBO properties sell for less is that is that many of them are sold to family members. Another is that FSBO properties include a disproportionate number of mobile homes and manufactured homes, which usually sell for less than detached single-family homes. You'll have to find reliable contractors and inspectors on your own. Real estate agents know to steer clear of the bad ones. You'll need to have good business sense and social skills. Comedian Larry David once described himself this way: "I'm a very susceptible person, easily influenced, a natural-born follower with no sales-resistance. When I walk into a store, clerks wrestle one another trying to get to me first." If that sounds like you, you probably shouldn't sell FSBO. You'll also need to have reasonably good social skills and the discipline to follow through. It's sometimes hard to sell a home FSBO if you're an absentee owner and live out of the area. Their fees are usually lower than conventional listing agents, but they perform many of the same services. As with listing agents, they don't normally charge upfront fees and get paid only if the property sells. This is advantageous if you're short of cash. Unlike conventional listing contracts, a flat-fee contract makes it easier for you to sell to buyers who aren't represented by buyers' agents. As with conventional listing agents, you may be required to sign a contract for a certain period of time, say three or six months. If you're dissatisfied with the services you're getting, it may be difficult to get out of the contract. I believe you can get much more bang for your buck by doing your own marketing. Like full-service realtors, flat-fee listing services are in the business of making risky "loans" to sellers in that they advance the seller a number of services, but get paid only if the house sells. As with most risky loans, though, the "interest rate" they charge is quite high. I believe that if you have enough cash to finance the marketing of your home, you're better off not using this kind of service. Agents sometimes argue that sellers are better off using full-service realtors in a slow real estate market. As I've noted above, listing agents usually have little incentive to spend money on marketing, since raising the sales price of a house by, say, $10,000, will give the agent a return of only $125. In a slow market, that $125 return becomes less certain, since the listing is more likely to expire before the house is sold. If the market's slow, then, an agent's incentive to spend money on marketing--already weak--becomes even weaker. 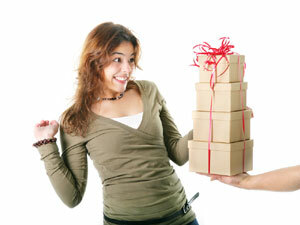 Just when you want your agent to splurge, he or she is more likely to scrimp. Since listings in slow markets are more likely to expire, listing agents are especially eager to close deals quickly--even if that means a lower sales price. If the market's slow, then, the listing agent's advice about setting an asking price and negotiating offers is especially questionable. If you're having trouble finding a buyer for your FSBO property, it may be more cost-effective to increase the buyers' agent's commission (perhaps to 4%) than to sign up with a listing agent. Buyers' agents are the ones who convince buyers to make offers. In a slow market, buyers can pick and choose among different properties on the market. A good selling strategy might be to forego the listing agent and use the savings to price your property more competitively. If you are attempting a short sale of your property, though, you may be better off using a listing agent. 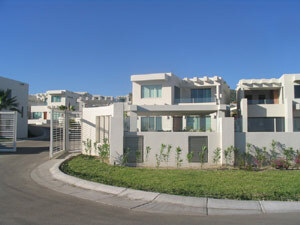 A short sale occurs when the sales price is less than the amount of the loans taken out on the house. Agents usually have to work much harder to make these deals go through, since the bank or banks have to approve all deals. In a buyers' market, FSBO sellers can use the money they save on the listing agent's commission to do one or more of the following: (1) raise the buyer's agent's commission, (2) market their home more aggressively, or (3) lower their price. ©Lori Alden, 2008. All rights reserved.